Case Jigged White Synthetic Doctors Folding Knife | BUDK.com - Knives & Swords At The Lowest Prices! Let the sparXX fly! This breathtaking new piece will put a smile on your face and a twinkle in your eye. 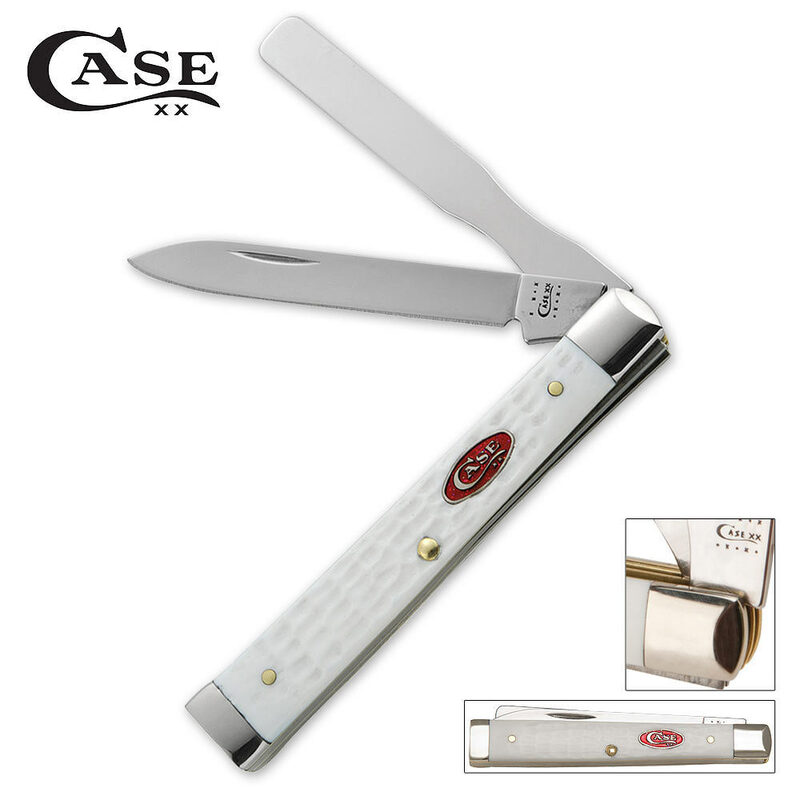 This Case Doctor's knife bears a glimmering standard jigged white Delrin handle and a gleaming Case logo on the red oval shield. The Doctor's Knife also features signature Case Tru-Sharp stainless steel spear and spatula blades. Get one now to add a little extra spark to your collection. 3 3/4" closed.